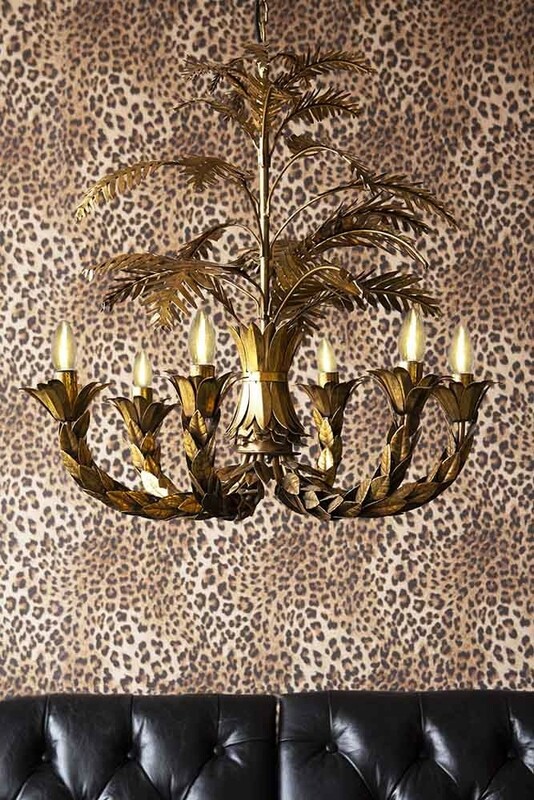 The Tropical Palm Leaf Chandelier is the epitome of a statement ceiling light. A truly showstopping light feature that will draw the eye upwards and add that coveted wow-factor to your interiors, this tropical style golden leaf chandelier is a thing of beauty. 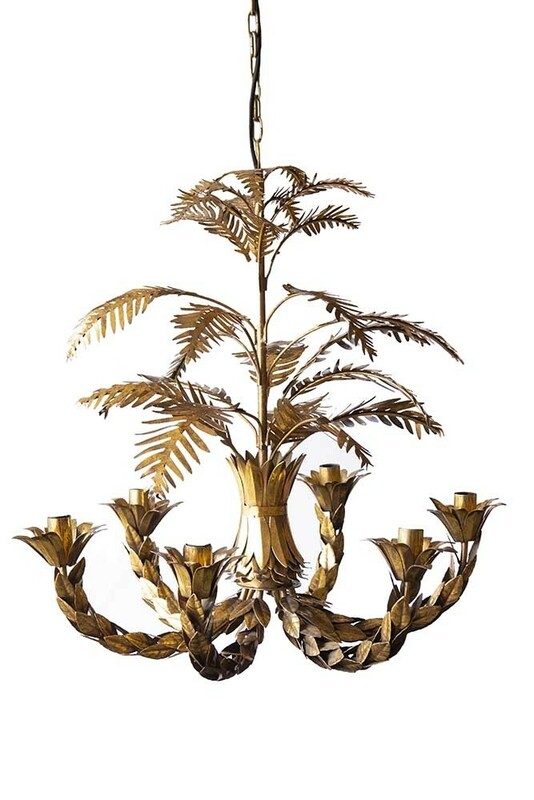 Featuring a brass stem with distressed style brass decorative palms at the top of the chandelier that flow into beautiful brass leaves that open out into six lightbulb fixings. 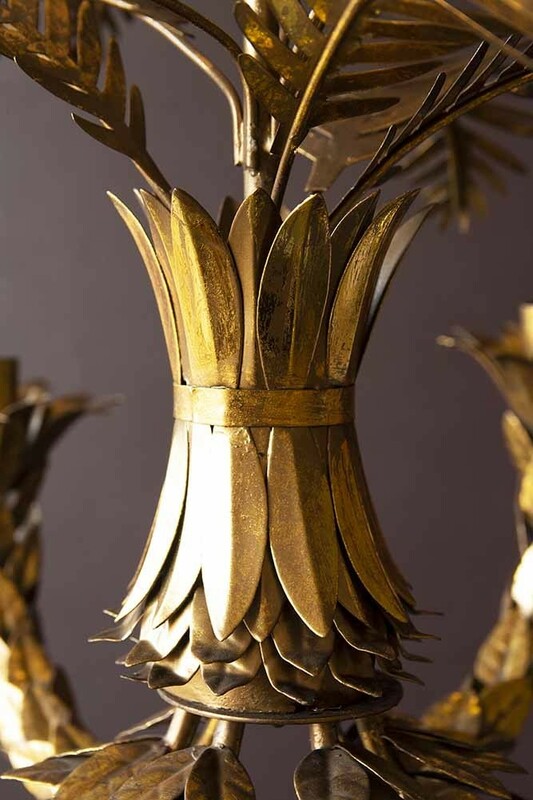 Made from metal the Tropical Palm Leaf Chandelier measures 69cm in height x 62cm in width. 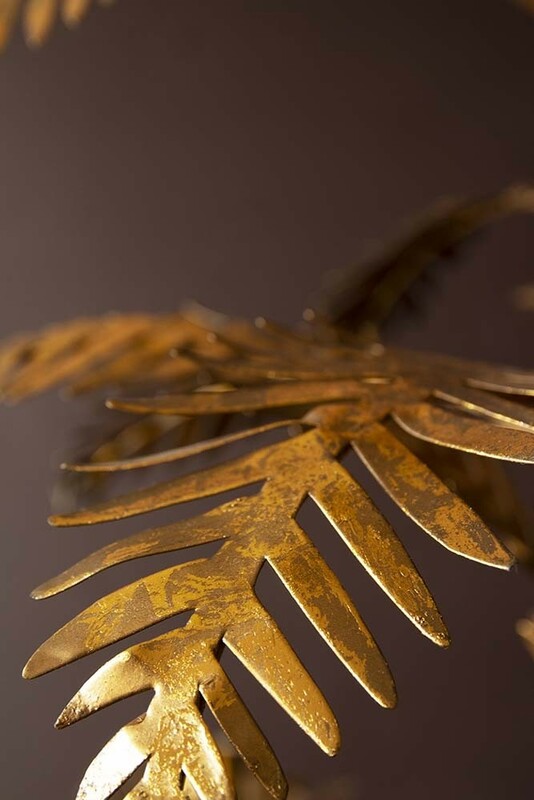 Please note, our lovely Palm Chandelier is handmade and so will have the expected variations and imperfections of a handmade product. We think that this only adds to this Ceiling Lights unique charm. Great lighting is essential for creating a happy mood in the home. But, it’s the lighting features that resemble art that really make our hearts sing. The Tropical Palm Leaf Chandelier is a beautiful combination of both of these things and that’s why we think that you will love it. 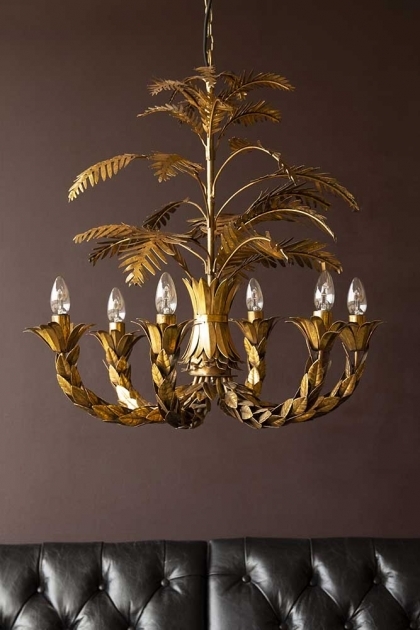 A stunning chandelier, this impactful ceiling light will adorn your ceilings with beauty. Fit with low wattage light bulbs and have a fully-qualified electrician install a dimmer switch to create the ultimate mood lighting in your home. 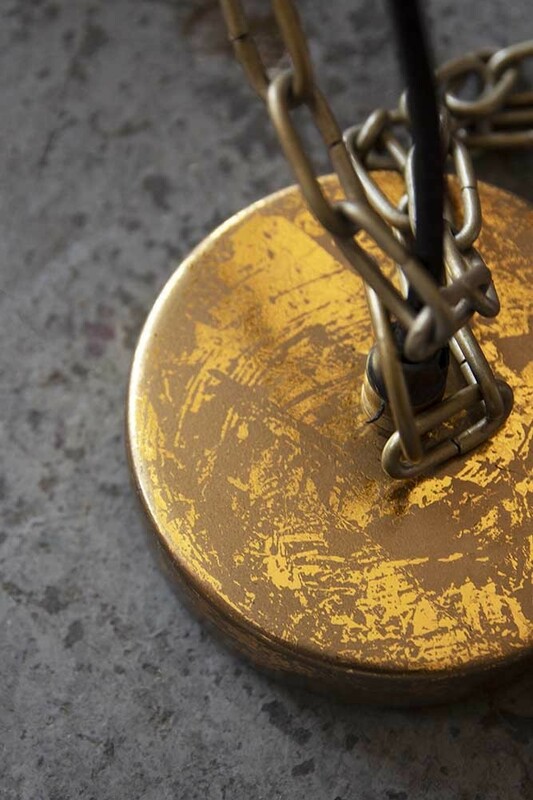 A magnificent beast hang your chandelier over your dining table or statement sofa for maximum impact. It will make your room feel larger and grander in a flash! You could also hang this chandelier in unexpected places for a quirky twist. So why not hang it in the kitchen for an ultra glamorous look? For tips on how to choose the right lighting for your home, check out our blog here.